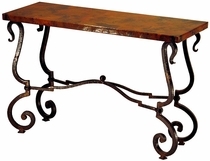 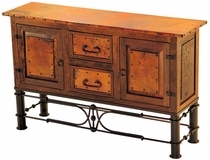 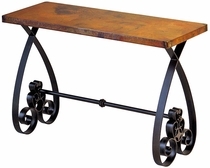 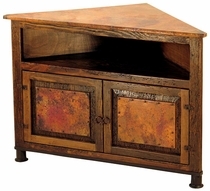 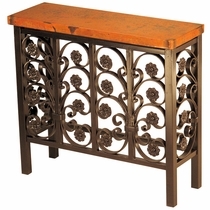 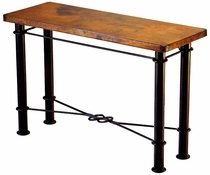 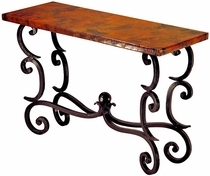 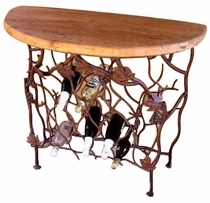 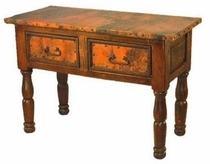 Our rustic wood and copper console tables and sofa tables will create a stunning rustic decor in your home. 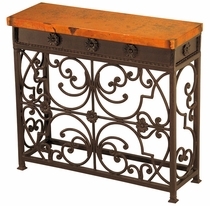 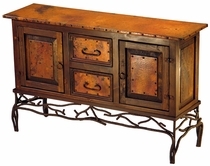 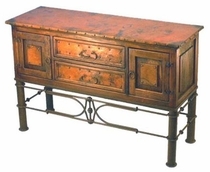 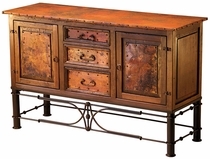 The warmth and beauty of our ornate rustic iron, old wood and copper furniture is accentuated by the creative use of copper panels, hammered copper tops and wrought iron. 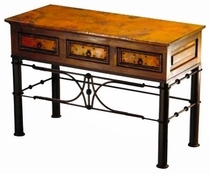 The designs of these tables fit well with many home decor styles including, southwest, Tuscan, Santa fe and hacienda ranch. 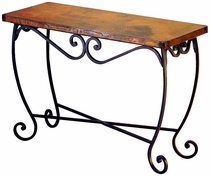 These living room pieces are authentic Mexican creations handmade with care in Mexico. 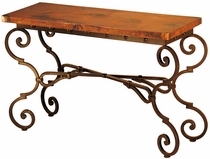 See Iron and Copper Coffee Tables and End Tables here.